In his book, The Case Against Perfection, Michael J. Sandel has offered several reasons against biomedical human enhancements that would apply to all such enhancements. However, his views have been subject to forceful objections by Frances M. Kamm. The aim of this paper is to evaluate Sandel’s position in light of his response to Kamm’s critique to determine and articulate what, if anything, is worth preserving in Sandel’s account in future thinking about enhancements. Agar, N. (1998). Liberal Eugenics. Public Affairs Quarterly, 12 (2), 137-155. Arneson, R. (2006). Desire Formation and Human Good. In S. Olsaretti (Ed. ), Preferences and Well-Being (9-32). Cambridge: Cambridge University Press. Axelrod, R. (1990). The Evolution of Cooperation. Harmondsworth: Penguin Books. Bostrom, N. & Sandberg, A. (2009). Cognitive Enhancement: Methods, Ethics, Regulatory Challenges. Science and Engineering Ethics, 15 (3), 311-341. Bricker, B. (1980). Prudence. The Journal of Philosophy, 77 (7), 381-401. Buchanan, A. (2011). Better Than Human: The Promise and Perils of Enhancing Ourselves. Oxford: Oxford University Press. Buchanan, A. & Brock, D. W., Daniels, N., & Wikler, D. (2000). From Chance to Choice: Genetics and Justice. Cambridge: Cambridge University Press. Daniels, N. (2009). Can Anyone Really Be Talking About Ethically Modifying Human Nature? In J. Savulescu & N. Bostrom (Eds. ), Human Enhancement (25-42). Oxford: Oxford University Press. Frankfurt, H. G. (1988). Rationality and the Unthinkable. 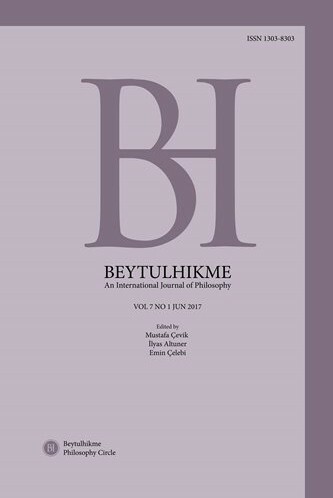 In The Importance of What We Care About: Philosophical Essays (177-190). Cambridge: Cambridge University Press. Harris, J. (2009). Enhancements are a Moral Obligation. In J. Savulescu & N. Bostrom (Eds. ), Human Enhancement (131-154). Oxford: Oxford University Press. Kamm, F. M. (2005). Is There a Problem with Enhancement? The American Journal of Bioethics, 5 (3), 5-14. Normille, D. (2018). Shock greets claim of CRISPR-edited babies. Science. 362 (30): 978-979. Nozick, R. (1974). Anarchy, State and Utopia. Oxford: Basil Blackwell. Rawls, J. (1999). Collected Papers. Cambridge, MA: Harvard University Press. Sandel, M. J. (2007). The Case Against Perfection: Ethics in the Age of Genetic Engineering. Cambridge, MA: Harvard University Press. Savulescu, J. & Bostrom, N. (Eds.). (2009). Human Enhancement. Oxford: Oxford University Press. Savulescu, J. & Kahane, G. (2009). The Moral Obligation to Create Children with the best Chance of the Best Life. Bioethics, 23 (5), 274-290. Sparrow, R. (2011). A Not-So-New Eugenics: Harris and Savulescu on Human Enhancement. The Hastings Center Report. 41 (1), 32-42.